What's so good about "sea island cotton"? 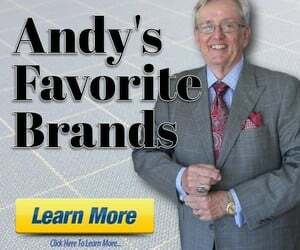 Discussion in 'Andy's Fashion Forum' started by 10gallonhat, Mar 11, 2010. $150 for an undershirt? What's so good about this stuff? Seems a bit crazy to me, too. However, in the Ian Fleming books on James Bond, Bond frequently wears sea-island dress shirts with turn back cuffs. So, that's something. I think that back when Jamaica was a colony of Great Britain, sea island cotton was probably relatively cheap (I'm not sure about that, though). Today, it's a delicacy, so probably has lost that old appeal. I know there are other threads on this topic here that go in depth into the cotton qualities of sea island/egyptian cottons and such. It yields 35 results, most of them pretty interesting. Let us know if you find a good cheap source of sea island shirts, though. It produces unusually long yarns, which permits cloth of a finer hand. Is it worth it? If someone is willing to pay, yes. I was doing some online car comparisons just last night, and was looking at the Mercedes CL600 and the Mercedes CL65 AMG - the former does 0-60 in 4.6 seconds and costs $150k, the latter 0-60 in 4.4 seconds and costs 207k. Is 0.2 seconds "worth" a $57k premium? Again, yes, if someone is willing to pay. Wearing it for a few seconds will answer the question. Very smooth and soft against the skin. With regards to the undershirt, a very nice Sea Island knit fabric costs about $24/yard in a 60inch width, at least from a fabric reseller that I found. So I would guess an undershirt would take about a yard to a yard and a half of fabric at that width. So there seems to be a whole lot of margin in that $150 undershirt! BTW, where did you see it? Just curious whose name is on it, maybe that is where the extra cost comes from. I bet it would feel pretty nice, though! As for dress shirts, cheap Sea Island doesn't really seem to exist. 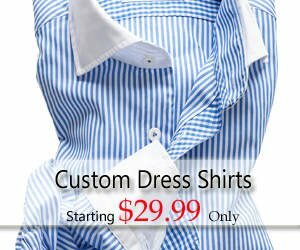 If you are talking about the real deal from the West Indies (WISC), it seems that the material cost for a dress shirt could easily be about $60-$80 just for the fabric. Perhaps that could be a little less if a manufacturer is buying the fabric in bulk but I haven't been able to find that personally. I own one (1) Sea Island cotton shirt, which I purchased on a closeout sale so it was only mildy overpriced instead of absurdly overpriced. While I can tell there's a difference between it and regular cotton (it feels smoother and, when first put on, cooler), I can't begin to see how it justifies the premium. Sea Island cotton (which is named for the Sea Islands found offshore of Georgia and South Carolina) is a common name for a particular species of cotton. IIUC, it's also the same species that gives us "Egyptian" cotton. The relevant characteristics are that it has much longer staple length and is harder/more expensive to grow than other cotton. The longer staple (fiber length) gives it certain desirable properties, and an ability to combine softness with durability. 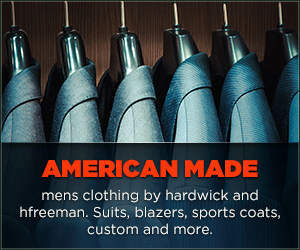 Only you can decide whether, for a particular garment, the extra cost is worth it. I would never think of spending $150 to get that quality in a t-shirt, but perhaps others with more sensitive skin or vastly more money find it a good value. I think that back when Jamaica was a colony of Great Britain, sea island cotton was probably relatively cheap (I'm not sure about that, though). I don't think so. Pretty sure it was always much more expensive than upland cotton. It can only be grown in certain climates, etc. Paul Stuart has some sea Island shirts in white. They are not marked up that high. Well said!! That about sums it up perfectly, I think.